Helen Peace Hines, 83, of Magnolia, passed away, Tuesday, Aug. 28, 2012 at Sunrise Manor Nursing Home in Hodgenville. 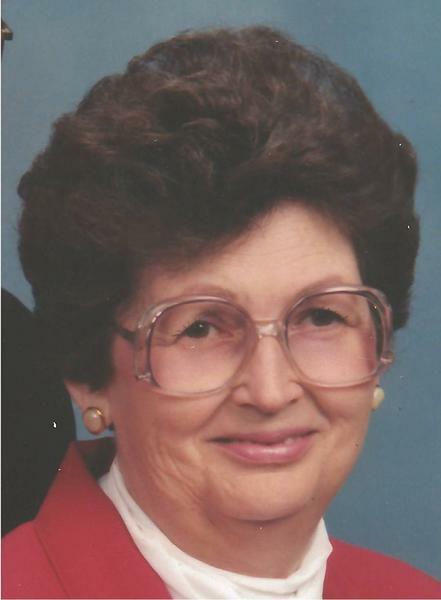 She was the retired librarian at the LaRue County Public Library for several years, member of Magnolia Cumberland Presbyterian Church, Magnolia Lions Club, and a Hospice and American Cancer Society volunteer. She was preceded in death by her husband, Tom Hines; her parents, Joe and Gladys Ragland Peace; two sisters, Florine Lee and Chrystine Kirtley; and a granddaughter. She is survived by two sons, Barry (Carlette) Hines of Katy, Texas and Tommy (Dorthrine) Hines of Louisville; two grandchildren, Chris (Amy) Hines and Hannah Best; and seven great-grandchildren. The funeral is 11 a.m. Friday, Aug. 31, 2012, at Dixon-Rogers Funeral Home in Magnolia with Bro. Bill Macy officiating. Burial will follow in Magnolia Cemetery. Visitation will be 5:30-8 p.m. Thursday and after 10 a.m. Friday at the funeral home. Condolences may also be made online at www.dixon-rogers.com .